Do some cultural sightseeing at Kata Tjuta and Walpa Gorge. Take a break from the city and head to Uluru and Valley of the Winds. There's still lots to do: get engrossed in the history at Uluru-Kata Tjuta Cultural Centre, go for a walk through Field of Light, stroll through Uluru Hiking Path, and hike along Kuniya Walk. For where to stay, photos, other places to visit, and other tourist information, you can read our Uluru-Kata Tjuta National Park trip itinerary planner . Helsinki, Finland to Uluru-Kata Tjuta National Park is an approximately 33-hour flight. The time zone changes from Eastern European Time to Australian Central Standard Time (Northern Territory), which is usually a 7 hour difference. 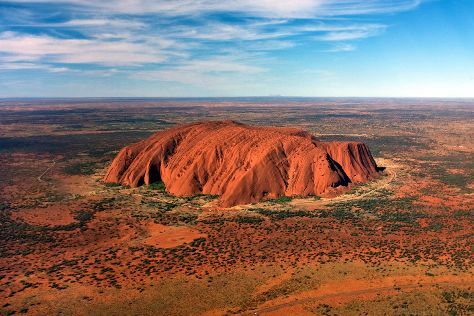 Traveling from Helsinki in November, expect Uluru-Kata Tjuta National Park to be much warmer, temps between 41°C and 22°C. Finish your sightseeing early on the 6th (Wed) to allow enough time to travel to Sydney. 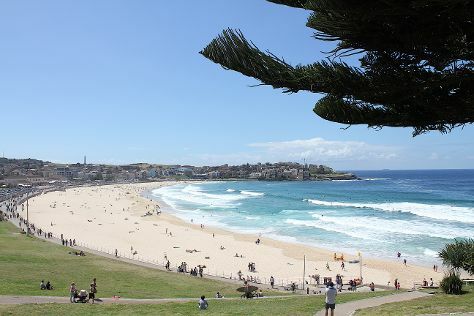 You'll get in some beach time at Manly Beach and Clovelly Beach. Get some cultural insight at The Rocks and Darling Harbour. There's lots more to do: see a show at Sydney Opera House, see the interesting displays at Australian National Maritime Museum, make a trip to Sydney Harbour Bridge, and contemplate the long history of Justice & Police Museum. To find where to stay, traveler tips, photos, and tourist information, read Sydney trip itinerary app . Fly from Uluru-Kata Tjuta National Park to Sydney in 5.5 hours. Alternatively, you can drive. When traveling from Uluru-Kata Tjuta National Park in November, plan for slightly colder days in Sydney, with highs around 29°C, while nights are about the same with lows around 19°C. Wrap up your sightseeing on the 9th (Sat) early enough to travel to Lord Howe Island. On the 10th (Sun), examine the collection at Lord Howe Island Museum, kick back and relax at Lagoon Beach, and then kick back and relax at Ned's Beach. 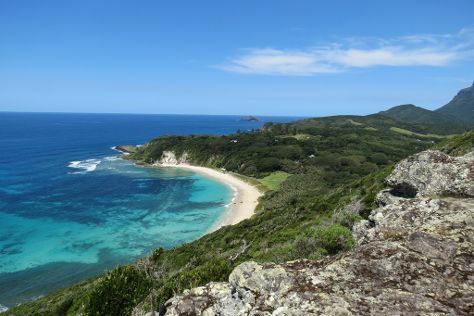 On the 11th (Mon), you'll have a packed day of sightseeing: take your sightseeing to a higher altitude at Mt Gower, then take in the dramatic natural features at Ball's Pyramid, and then stroll through Lord Howe Island Walking Trails. For traveler tips, photos, reviews, and other tourist information, go to the Lord Howe Island tour itinerary maker . Fly from Sydney to Lord Howe Island in 3.5 hours. Cap off your sightseeing on the 11th (Mon) early enough to travel to Port Douglas. Get outdoors at Safaris and Hartley's Crocodile Adventures. Step out of Port Douglas to go to Palm Cove and see Palm Cove Beach, which is approximately 42 minutes away. Spend the 12th (Tue) among aquatic life with a scuba or snorkeling tour. Traveling by combination of flight and shuttle from Lord Howe Island to Port Douglas takes 7.5 hours. In November, daytime highs in Port Douglas are 36°C, while nighttime lows are 26°C. Finish your sightseeing early on the 14th (Thu) to allow enough time to travel back home.